A routine visit to the dentist saved Joana Breckner’s life. While in the chair 17 years ago, her dentist Phillip Sacks DDS ’70 discovered abnormal white spots on Breckner’s tongue. “They were so small, I couldn’t even see them,” said Breckner, a nonsmoker who rarely drank. Though a biopsy came back benign, Sacks and other specialists continued to monitor Breckner over the next several years. “I was very vigilant about my health,” she said. In 2007, Breckner felt something unusual inside her mouth. “My doctor took one look and said that I didn’t even need a biopsy. It was cancer and had to be removed,” she recalled. Over the next six years, she underwent several procedures and treatments as her cancer went in and out of remission — including a surgery to remove part of her jaw and half of her tongue, followed by months of intense radiation and chemotherapy. I survived because every doctor put all their energy into me, and I feel a responsibility to repay the favor. Nearly 50,000 Americans will be diagnosed with oral cancer this year; only about half will be alive five years after diagnosis, according to the Oral Cancer Foundation. If found in the early stages, oral cancer patients have an 80 to 90 percent survival rate, but the majority of patients are diagnosed in later stages of the disease, often after the cancer has spread, according to the foundation. While older adults who drink and smoke are more prone to oral cancer, the disease often strikes those outside risk groups, like Breckner. For example, HPV — the virus that causes cervical cancer — has triggered an uptick in oral cancer among young nonsmokers, making it more difficult to define those who could be high-risk. Sacks also credits his extensive training on the disease while he was a USC student the late 1960s. 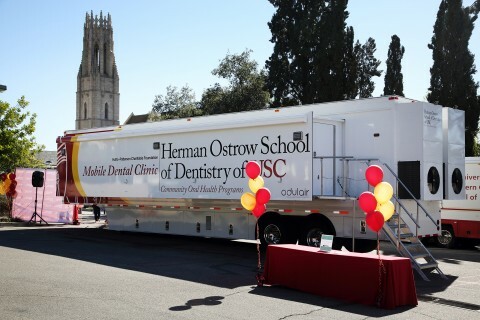 Oral cancer training remains a cornerstone of USC’s curriculum, with screenings often taught during students’ first trimester. More than mastering a skill, Navazesh wants students to raise awareness about the disease, much like doctors encourage breast cancer screenings. Oral cancer can appear as a red, white or red-and white-speckled area, according to the Oral Cancer Foundation, which suggests patients go to their trusted dental professional if they have any lump that feels hard and fixed to the underlying tissues or an open sore in the mouth that doesn’t heal in 10 days. Sacks has a sign in this office that reads, “Any lumps or bumps?” to encourage patients to ask questions. “I’ve had patients report lumps to me because of it,” he said. 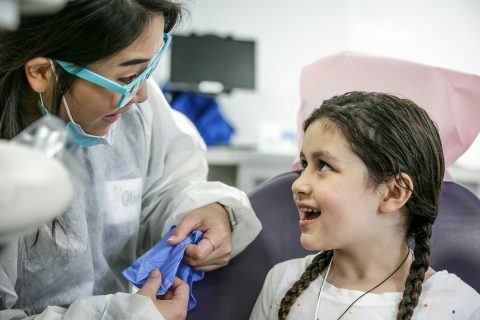 Now cancer-free for “four years, four months and three days,” Breckner has made it her mission to ensure each patient gets “cleaned and screened” for oral cancer every time they visit a dentist. Sacks echoes the importance of screenings. 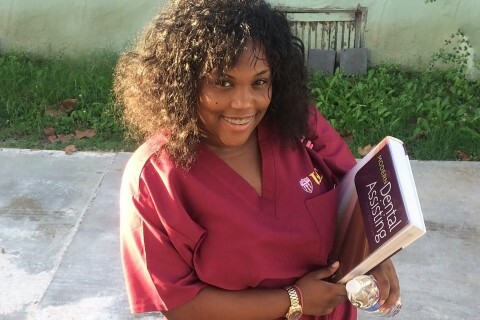 Innovative, free USC program trains high school students to become dental assistants, an in-demand job some will do later while attending college. 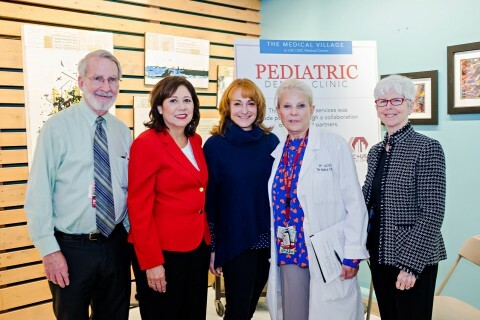 $3 million gift from Hutto-Patterson Charitable Foundation makes the colossal clinic possible.